What is the cheapest way to get from Charing to Faversham? The cheapest way to get from Charing to Faversham is to drive which costs £1 - £3 and takes 12m. What is the fastest way to get from Charing to Faversham? The quickest way to get from Charing to Faversham is to taxi which costs £22 - £28 and takes 12m. Is there a direct bus between Charing and Faversham? No, there is no direct bus from Charing to Faversham. However, there are services departing from Charing, Primary School and arriving at Faversham, Preston Street via Chequers Bus Station. The journey, including transfers, takes approximately 2h 34m. Is there a direct train between Charing and Faversham? No, there is no direct train from Charing to Faversham. 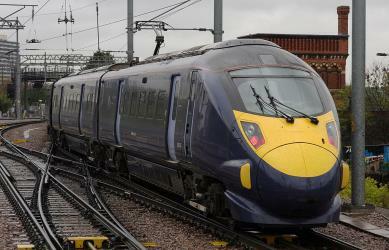 However, there are services departing from Charing (Kent) and arriving at Faversham via Ashford International and Canterbury East. The journey, including transfers, takes approximately 1h 30m. How far is it from Charing to Faversham? The distance between Charing and Faversham is 8 miles. The road distance is 9.7 miles. 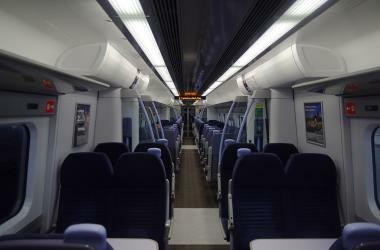 How do I travel from Charing to Faversham without a car? The best way to get from Charing to Faversham without a car is to train via Canterbury East which takes 1h 30m and costs £19 - £30. How long does it take to get from Charing to Faversham? 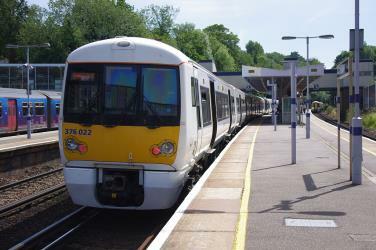 It takes approximately 1h 30m to get from Charing to Faversham, including transfers. Where do I catch the Charing to Faversham bus from? Charing to Faversham bus services, operated by Stagecoach in East Kent, depart from Charing, Primary School station. Where do I catch the Charing to Faversham train from? Charing to Faversham train services, operated by Southeastern, depart from Charing (Kent) station. Train or bus from Charing to Faversham? 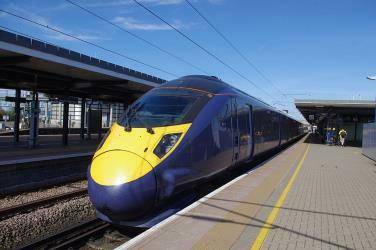 The best way to get from Charing to Faversham is to train via Canterbury East which takes 1h 30m and costs £19 - £30. Alternatively, you can bus and line 333 bus, which costs £8 - £12 and takes 2h 34m. What companies run services between Charing, England and Faversham, England? You can take a train from Charing to Faversham via Ashford International, Canterbury West, and Canterbury East in around 1h 30m. Alternatively, you can take a bus from Charing to Faversham via Maidstone, King Street and Chequers Bus Station in around 2h 34m. Where does the Charing to Faversham bus arrive? Charing to Faversham bus services, operated by Arriva Kent & Surrey, arrive at Faversham, Preston Street station. Where does the Charing to Faversham train arrive? Charing to Faversham train services, operated by Southeastern, arrive at Faversham station. Can I drive from Charing to Faversham? Yes, the driving distance between Charing to Faversham is 10 miles. It takes approximately 12m to drive from Charing to Faversham. How do I get a train ticket from Charing to Faversham? 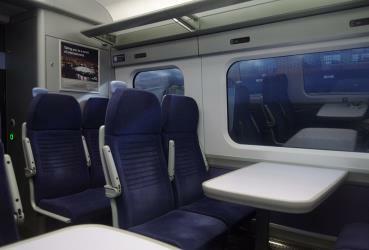 Book your Charing to Faversham train tickets online with Rome2rio. Where can I stay near Faversham? There are 508+ hotels available in Faversham. Prices start at £65 per night. Canterbury Cathedral in Canterbury, Kent, is one of the oldest and most famous Christian structures in England. It forms part of a World Heritage Site. It is the cathedral of the Archbishop of Canterbury, currently Justin Welby, leader of the Church of England and symbolic leader of the worldwide Anglican Communion; the archbishop, being suitably occupied with national and international matters, delegates the most of his functions as diocesan bishop to the Bishop suffragan of Dover, currently Trevor Willmott. Its formal title is the Cathedral and Metropolitical Church of Christ at Canterbury. St Augustine's Abbey was a Benedictine monastery in Canterbury, Kent, England. The abbey was founded in 598 and functioned as a monastery until its dissolution in 1538 during the English Reformation. After the abbey's dissolution, it underwent dismantlement until 1848. Since 1848, part of the site has been used for educational purposes and the abbey ruins have been preserved for their historical value. Leeds Castle is in Kent, England, 5 mi southeast of Maidstone. A castle has been on the site since 1119. In the 13th century it came into the hands of King Edward I, for whom it became a favourite residence; in the 16th century, Henry VIII used it as a dwelling for his first wife, Catherine of Aragon. The castle today dates mostly from the 19th century and is built on islands in a lake formed by the River Len to the east of the village of Leeds. It has been open to the public since 1976. The Sittingbourne & Kemsley Light Railway in Kent is a narrow gauge heritage railway that operates from Sittingbourne to the banks of The Swale. Rome2rio makes travelling from Charing to Faversham easy. Rome2rio is a door-to-door travel information and booking engine, helping you get to and from any location in the world. 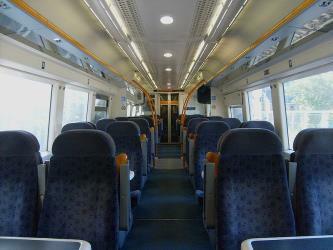 Find all the transport options for your trip from Charing to Faversham right here. Rome2rio displays up to date schedules, route maps, journey times and estimated fares from relevant transport operators, ensuring you can make an informed decision about which option will suit you best. Rome2rio also offers online bookings for selected operators, making reservations easy and straightforward.